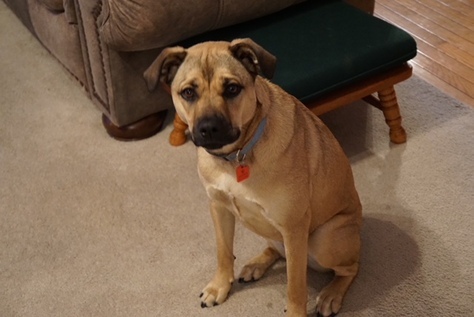 Dog, Lab mix, 2 years, tan, female, gentle, needs a home with another dog, room to run, play, would be a very good country dog. House trained, spayed, chipped. Re-homeing chip fee, waived 785-643-8619.